Google Public Liaison Danny Sullivan whose job it is to explain search engine optimization (SEO) to the public says the company updates its algorithms at least once or twice a day. It is estimated that the company makes these updates updates between 500 and 600 times annually. As you may imagine, however, some of those updates are much more important than other updates. The company releases two different types of updates. Core updates are focused on quality while focused updates are the ones that are released on a daily basis. Understanding core updates is essential because they change how websites rank far into the future. Algorithms were first introduced to webmasters in 2002. It was not, however, until the release of Caffeine in 2010 that the company updated their ranking methods daily. Since then, there have been at least four updates that have left webmasters hustling to get up to speed that is still affecting the industry today. Released on February 23, 2011, the Panda Update, originally called the Farmer Update, required sites to produce great quality content on their websites to rank well. Released on April 24, 2012, the Penguin update required sites to use a natural link-building scheme. The third update is the Hummingbird Update that the company announced on September 26, 2013, admitting that it had already been live for about a month. Perhaps, no update was more important than RankBrain that was released on October 26, 2015. With the RankBrain update, the company said they were using machine learning to teach its computers to spot the intent behind words even if the computer had never seen them before. The effect was that the keywords became far less important and entities became more valuable. It vital to remember that when the company announces a major update, that it eventually rolls it into their core algorithm, so it never goes away. If you want to keep up with it on a daily basis, then look at MozCast daily as they give a report, similar to a weather report, based on the volatility in search engine rankings daily. Google released their Search Engine Rater’s Guide on July 25, 2018, giving those operating websites a unique look into the company’s current thinking. While the company says they do not use these guidelines directly to rank websites, they feed the data received from the raters into their algorithm to make their computers better at selecting websites that meet user’s needs the best. If you open your Google Analytics and discover that your site has risen majorly or seems to have fallen off a cliff, then you may suspect that the company is adjusting their search engine rankings rules again. During some periods, you may even feel like your site is on a trampoline. One of the most volatile periods in recent memory was the first nine months of 2018. Therefore, let’s have a look at some major updates released in 2018. Here are some of the key updates in 2018 that you will want to remember. While the search engine giant usually makes an announcement after the fact when they do a major update to how they rank search engines, there was never any official update on or around February 20. Yet, many webmasters noticed a lot of fluctuation in their search engine rankings. While some suggest that this update may have been country specific, others point out that this may have to do with downgrading sites that have lots of broken links or those with links pointing to bad sites. While some felt the effects of the Brackets Core Update as early as March 4, the search engine company confirmed the update on March 8, 2018. This update that was named by Glenn Gabe, who has been writing about SEO for over 22 years, focuses on quality content. According to John Mueller of Google, the company is looking at the amount of quality content produced over the long run. Content needs to be written by an expert, be authoritarian and your website and products need to be trustworthy. This update also severely hurt those who had disruptive or deceptive advertising on their sites. Some websites that were hurt by this update also had many links pointing to pages with thin content. For years, webmasters theorized that a day would come when there would be no organic listings on search engine result pages (SERP). That day arrived on March 14 when the search engine giant released time/date queries and unit conversion calculators with only the answer and a show more button. While these changes lasted only a few days and impacted less than 0.01 percent of searches, it may indicate what the future holds in SERPs as these pages show fewer organic listings. Danny Sullivan reports these results were limited to searches where they believed searchers only looked for an answer with no other information. This, however, may be the start of a trend to block retailers from offering products on SERP pages where Google offers a comparable product. Others argue that because of the amount of money that the company takes in from companies, like SEO experts, that they will never completely block organic listings in most cases. While the March 14, 2018, zero-results on SERP only lasted about one week, the company has started showing more of their content on SERPs. For example, by October, they are publishing double featured snippets with ads on top and one organic search result at the bottom along with double featured snippets along with people also asked eliminating all organic listings from their first SERP page. This means that SEO professionals must get more creative to get their content noticed along with creating content that may be incorporated into SERPs. While many webmasters were surprised how little impact they saw from the Mobile-First Index roll-out that occurred on March 26, 2018, the company finally made it official that they were indexing mobile sites where available over sites meant for desktop use. The search engine ranking provider had given webmasters 18 months of warnings they would do this. In making the announcement on the Webmaster Central Blog, the company also said they will give preference to Accelerated Mobile Pages (AMP) sites over non-AMP sites. Barry Schwartz also covered the announcement for SEO professionals emphasizing that there is only one index, so desktop and mobile sites will be ranked together. He also points out that webmasters would receive notification in their Google Console when the company used their Smartphone Googlebot on a site for the first time. While the search engine ranking provider eventually confirmed it via Twitter, the SEO world was buzzing about large fluctuations in rankings on April 17, 2018. 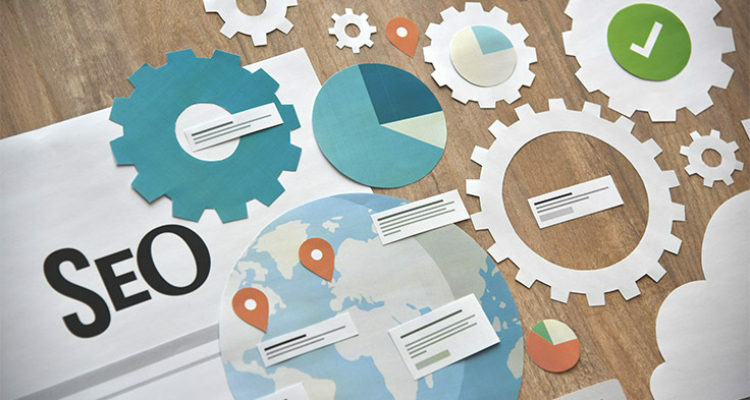 Google also reminded everyone that there were no quick fixes if you are hit by an update as some content will be rewarded while others see their websites fall further down the rankings. While there are over 200 ranking factors that must be accounted for in SEO, sites who can prove their experts, have authority and are trustworthy usually come out better. Sites that are older than six months usually rank better as long as they are constantly updating their data. As is often the case with updates, this confirmed update took several days to roll out with constant fluctuations in rankings for some sites. While most algorithm updates from the search company determine rankings that is not always the case. The May 13, 2018, snippet length drop is an example of the company changing their rules as the length of snippets went from back to 150 to 160 characters after the company had just raised the limits to 300 plus characters in December 2017. When Danny Sullivan made the December announcement for his employer, he warned webmasters not to focus too much on writing meta descriptions because Google often dynamically pulls content from the page to computer generate snippets. After this update, webmasters were left with several choices including rewriting all the longer snippets, leaving them blank allowing a computer to generate them or leaving them alone allowing Google to end the description with ellipses. Dr. Meyers, Marketing Scientists at Moz, suggests that webmasters write the first line to contain the main information, then following it up with more details following a basic journalistic writing style. The hopeful result is that viewers will get enough details even from just the first line to want to view the content if the rest gets cut off. 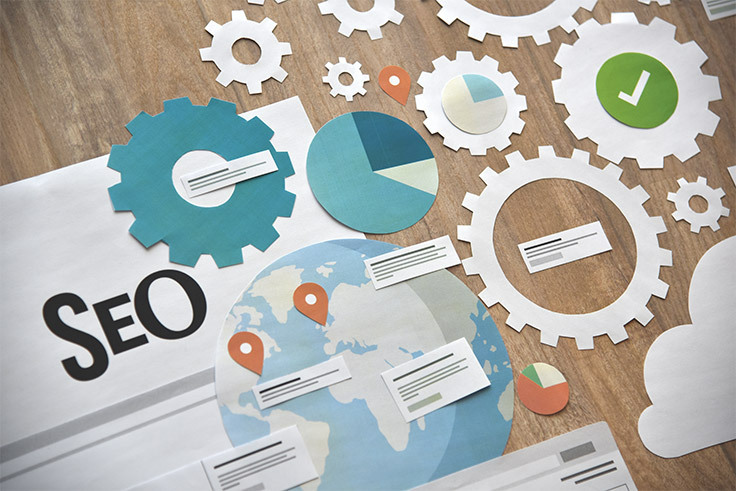 While many in the search engine optimization industry noticed lots of changes over a three-day period starting on May 23, 2018, the search engine company did not confirm that they changed their machine learning attributes. Many working in SEO reported the changes started for their website in early May. According to chatter on Search Engine Round Table, this update may have been related to a bug issue with a Yoast plugin that is popular with many sites. The update to the plugin in March affected how image redirects were handled with websites continually seeing drops in rankings until Yoast discovered their error. This may not have been an update, but it may have been a correction after the Yoast plugin problem was discovered. Before June 14, 2018, videos were treated like any other content for ranking purposes. On that date, the company moved them to a video carousel for desktops showing videos in a carousel at the top of many SERP pages. On average, the company started showing 8.5 results in their carousel. With videos removed from organic listings, other websites naturally moved up in their listings. After crunching many numbers, Rank Ranger also discovered that up to 40 percent more keywords were showing videos on the first SERP page than a month earlier. Except for losing real estate on the SERP page, this change seemed harmless too many, but Glenn Gabe points out that it could be very dangerous for some e-commerce companies. Many e-commerce retailers have asked how to get out of the video carousels as potential customers are thinking these contain entertainment and do not realize that they contain links to their pages. While many companies saw their impressions remain strong, their click-through rates dropped steadily. The bad news is that the search engine giant was putting up videos without companies even having a video on their site sometimes. While some e-commerce companies were resorting to hacks to get out of the carousel, the search engine company recommends disavowing the videos if they are causing problems. In August, they released many companies from the video carousels allowing them to be seen only in organic listings. On July 9, 2018, the Mobile Speed Update was rolled out. In a surprise too many, the SERPs saw very little fluctuations as only the very slowest loading sites were impacted. After giving webmasters six months notice that they would factor in speed as an important factor with mobile-first indexing, the company put their statements in place on July 9, 2018, making the announcement in their Webmaster Central Blog. According to an article on the update in Search Engine Roundtable, there are reasons to think fast sites who improve their speed will not see their rankings go up on that basis alone. Slow sites that make even gradual improvements may be rewarded. Since this update, SEO teams who have watched many websites report these theories to be holding true. The highest MozCast of 2018 was recorded on July 21, but the search engine company failed to announce that they made any updates. This update which may have lasted through the first part of August affected mostly local keywords. Chrome 68 is marking all HTTP sites as non-secure. While this update occurred on July 24, 2018, it requires users to update their systems. Therefore, the impact may stretch out over time. This update ensures users that their data is safe when they gave financial and personal information to websites, according to a statement posted by Chrome. Webmasters were given a six-month notice. Yet, many were left scrambling at the last moment to get security certificates in place allowing them to move to HTTPS sites. For many, the biggest change of the year came with the Medic Core Update released on August 1, 2018. Sites with keywords in the health and money sectors saw the most volatility with the update coming shortly after the release of the Search Engine Rating Guidelines on July 25, 2018. According to Rank Ranger who is quoted in Search Engine Land, the number of industries affected by this update was larger than seen with previous major updates like Panda and Hummingbird. According to Barry Schwartz, those in the health and medical fields were most impacted. In her article, Marie Haynes points out that not only were organic listings affected, but so were other types of listings including Google Maps. The winners of this update were mainly small businesses who saw their sites rise while many corporations with multiple locations had their sites fall. She continues that the main takeaways from this update are the need for an about us page clearly stating who is responsible for the content on the website. Products must have a good reputation across the internet and beyond. Statements need to be supported by the latest scientific findings. As has been the case with many updates, expertise, authority and trustworthiness count. We wanted to share this information about these updates with you because we want to be your SEO partner. We take great pride in keeping up with the current updates allowing us to apply current standards to all the sites we operate.